Posted on June 8, 2017 by Editor Posted in Science and Beauty	. When we think about removing the excess fats in our bodies, it’s only normal to be dubious about procedures that promise easy and quick fat-reduction solutions. With today’s technology, however, safe and effective fat removal is easier and more convenient to do. A good example of this is CoolSculpting. In this procedure, fat cells are frozen and naturally flushed out of the body within three to six months – making it one of the best fat-reduction solutions available in plastic surgery scene. But aside from providing fast results, here are other reasons why CoolSculpting is worth considering especially if you are thinking of regaining your slim physique. Most of the fat-reduction procedures that surgeons in Singapore use require their patients to undergo surgery – but this isn’t the case with CoolSculpting. This procedure is non-surgical and non-invasive, meaning your specialist will not make a single incision just to deal with your trouble areas. Instead, he or she will use a machine to freeze and kill the fat cells from the outside, thus eliminating the risks of scarring and infection. Unlike other fat-reduction procedures, CoolSculpting can be done even on during your lunch break. During the treatment session, patients are allowed to listen to music, quietly read a book, or take a nap – all of which you can’t do with traditional fat-reduction treatments. Since the procedure is non-surgical, CoolSculpting Singapore doesn’t also require any downtime or recovery time to heal wounds. In fact, you can already get back to your routine immediately after treatment. CoolSculpting in Singapore is FDA-approved, meaning it has undergone and passed a series of tests conducted by the Food and Drug Administration. The clinical trials showed that the treatment isn’t just effective, but is also safe to use to get rid of unwanted body fat. 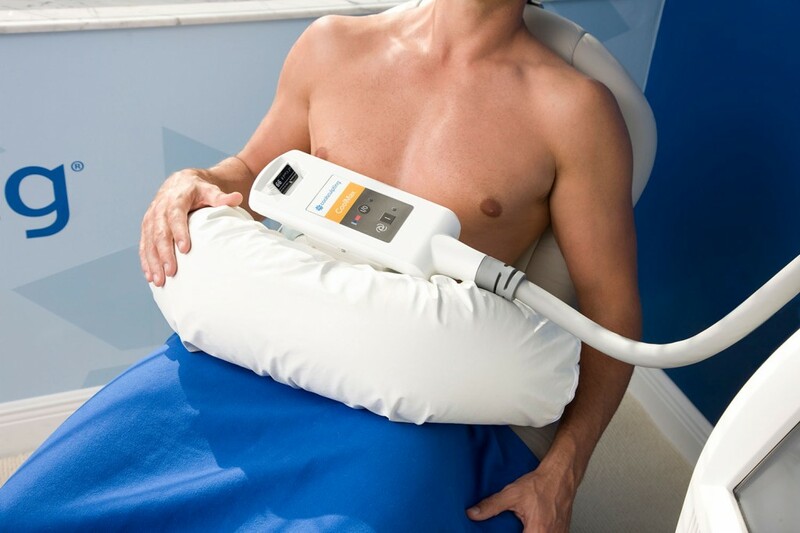 Its freezing technique during the zeltiq lose fat treatment in Singapore is targeted in the problem areas alone, leaving the healthy cells undamaged and untouched. CoolSculpting doesn’t also require its patients to take any medication nor does it require them to undergo a surgical procedure, which aids in reducing the risk of experiencing complications associated with wound healing. As mentioned above, CoolSculpting is a non-surgical treatment, thus it won’t require any incision to eliminate the excess fat cells in your body. However, expect to feel a stinging or tingling sensation during the first few minutes of the treatment as the machine pulls the flab of your skin and starts cooling it. As the treatment continues, the part being treated will gradually lose its sensitivity but no significant amount of pain will still be experienced from the procedure. With proper diet and exercise, fat cells will shrink in size but stays in the body. Once you indulge with fatty or sugary foods or ditch the gym, those cells will expand, causing you to gain weight. With CoolSculpting Singapore, however, the fat cells are frozen and permanently flushed out of the body. Even if you start gaining weight again, you will likely see an even distribution of fat throughout your body, instead of accumulating in the problem areas. Just ensure though that you will start living a healthier lifestyle (e.g. eating healthy meals and exercising) after going through the procedure so you will be able to improve or maintain your results for as long as you want. Perhaps you already shed a lot of weight, but is still unable to eliminate the stubborn fat in certain areas of your body. You may already be close to achieving your ideal weight, but no amount of dieting or exercising can help even out your figure and permanently get rid of that pesky double chin, arm flab, tummy chub and inner thigh fat. But by undergoing the CoolSculpting treatment, you can now safely and efficiently even out those problem areas without needing any downtime. Contrary to what you might be thinking, CoolSculpting Singapore only aims to aid in eliminating fat cells and not completely replacing natural fat-reduction solutions like exercising and dieting. Its results gradually show up and it looks more natural compared to the drastic changes you might have observed from individuals who have undergone surgical fat-reduction procedures. Most times, patients opt to live a healthier lifestyle to maintain the results they see from their CoolSculpting treatment. It’s like refusing a tub of ice cream after an intense workout, but with better and more visible results. After seeing the results of the procedure, you will start feeling leaner, lighter and looking better in your clothes. When you feel good about how you look, you tend to be happier and that becomes evident on the way you present yourself. Not only will you exude positivity in your daily life – whether at home or at work – the way you view life will likely improve as well. Although undergoing a CoolSculpting procedure in Singapore will not give you dramatic results right on the get-go, it’s still a better fat-reduction option if you only prefer a bit of toning in your problem areas instead of a drastic weight loss. So get rid of that pesky back fat, arm flab or muffin top now, and get that perfectly toned body that you want with the help CoolSculpting.